WASHINGTON - During the Cold War, U.S. eyes were riveted on the Soviet Union’s rockets and satellites. In recent years, it has been China’s space programs that have most worried U.S. strategists. China, whose space effort is run by the People’s Liberation Army, today launches more rockets into space than any other country — 39 last year, compared to 31 by the U.S., 20 by Russia and eight by Europe. On Thursday, it landed a rover on the far side of the moon — a first by any country — and plans to build an orbiting space station in the coming decade. In the decade after that, it hopes to put a taikonaut on the moon to make the first moonwalk since 1972. The rover, Jade Rabbit 2, has rolled down onto the surface, and its radar and panoramic camera have been activated and are working normally. Researchers hope that low-frequency observations of the cosmos from the far side, where radio signals from Earth are blocked by the moon, will help scientists learn more about the early days of the solar system and even the birth of the first stars. China now spends more on its civil and military space programs than Russia and Japan. Its 2017 budget was estimated at $8.4 billion by the Organisation for Economic Cooperation and Development. That is far less than the $48 billion the United States spends on its military and civilian space programs, but it is more than double Russia’s civilian space budget, which has been slashed to $3 billion. Overcoming a lag of several decades, China’s leaders have very methodically replicated the stages of space development achieved by other great nations: its first satellite in 1970, its first manned space mission in 2003, the first docking of a manned spacecraft to an orbiting module in 2012, and activation of the BeiDou satellite navigation system, China’s alternative to GPS. China currently poses no threat to the commercial satellite launch market, which remains dominated by companies including U.S.-based SpaceX and Europe’s Arianespace, and by Russia. 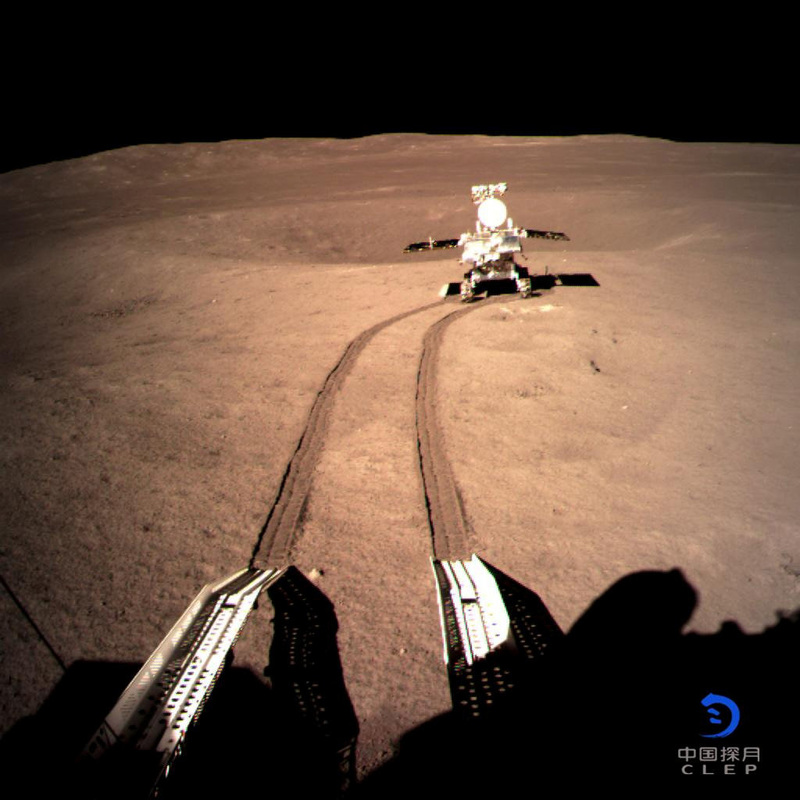 Nor has China’s progress in space exploration eclipsed that of the U.S.
NASA’s head congratulated China on its Chang’e 4 moon landing, but a 2011 U.S. law bars space cooperation with Beijing. The real rivalry is in two areas: in the short term, military uses of space; and in the long term, the exploitation of resources in space. Moreover, they have been overtaken by new military technologies: anti-satellite lasers, cyberattacks, electronic jamming and land-based anti-satellite missiles — like the one China tested in 2007. Harrison concurs: “The United States has not been keeping pace with the threats against our space systems,” and that has left the U.S. vulnerable. Meanwhile, U.S. dialogue with Beijing is virtually nil, in contrast with Washington’s exchanges with Moscow during the Cold War. Brian Weeden, of the Washington-based Secure World Foundation, said some proponents of the China-as-threat argument wield it as a way to get money for NASA out of a tight-fisted Congress. They “think that will motivate the U.S. to go off and do the stuff in space that they want to do,” he said.